~ by Sandra Lynn Gray on September 6, 2008. 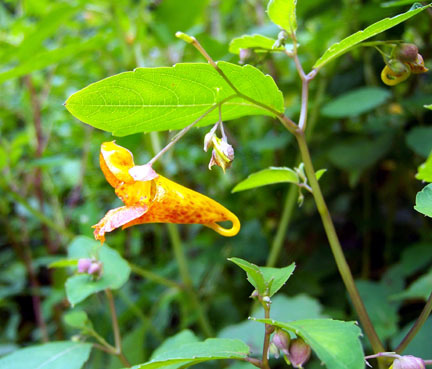 Jewelweed is beautiful! 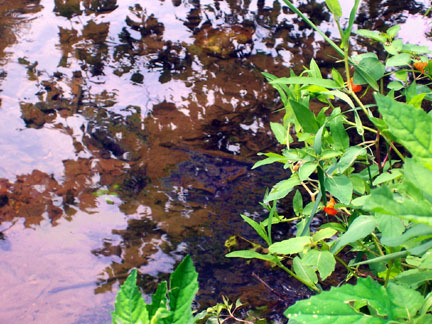 Did you know that the sap from crushed leaves and stems can be used to relieve the itch of poison ivy? Did you know that the flowers are also called “Touch Me Nots?” I did touch one on one occasion and the flower just shriveled up right before my eyes!